"Books won't stay banned. They won't burn. Ideas won't go to jail. In the long run of history, the censor and the inquisitor have always lost. The only sure way against bad ideas is better ideas." - Alfred Whitney Griswold, American historian and president of Yale University from 1950–1963. The biggest issue in America and throughout the Western world is not the economy, or the situation in Syria, or Iran's nuclear program, but media censorship. Freedom of speech exists, but it is constrained with the habitual use of totalitarian labels like "conspiracy theory" and anti-establishment views are limited to the margins of public consciousness. The suppression of public consciousness and knowledge is a spiritual crime. Censorship destroys cultures. The lack of a genuine public debate about the horrific events of the past hurts America and the West. It is not healthy that every public issue is tainted with state and corporate propaganda. Everything we are being told by government leaders and journalists is not true. Earth-shattering truths are being censored. Scripted talking points and political slogans have replaced honest speech and real debate. I'm surprised a robot isn't moderating the presidential debates in America because that is what a journalist has been reduced to. If a journalist wrote the truth about 9/11 his/her image and career would be destroyed by his/her peers. What happened to Helen Thomas was done as a message to all journalists. The message to journalists is, "Do not question the myths and policies of the extremist governments in Israel and America, or we will crucify you in the press." The government thought police doesn't even need to step in and bring journalists into line. The establishment media has become its own self-regulating thought police, as former BBC reporter Alan Hart said in this interview last year. The establishment media is a mouthpiece for dictatorial Western governments, the fascist Israeli government, globalist technocrats, and international banksters. It distorts everyday reality with a totalitarian will, censors the facts of history, and brainwashes the Western citizenry about manufactured security threats such as Al-Qaeda on a daily basis. The reality is that we are living under totalitarian rule, and many of our fellow citizens don't even know it because they get their news from television, aka the black box of destruction. Arising out of the intellectual wasteland that has been brought about by the mind-killing discourse in the establishment media is the greatest force for peace and liberty in human history: the global alternative media. New media technology is being used to educate and enlighten the people, as opposed to brainwashing and indoctrinating them like the establishment media is doing. For the first time in history there is a global free market of ideas. State ideologies cannot compete in this new social and cultural environment. A global de-brainwashing campaign is changing international politics. The global alternative media is a galaxy of dissent. Within this new galaxy there exists an entire constellation of websites, blogs, radio shows, podcasts, twitter feeds, and YouTube channels, all dedicated to the principles of freedom of speech, freedom of association, and freedom of thought. It is the natural response to Western totalitarianism and government terrorism. The fight for freedom in our time must be waged and won in the West. Our countries are heading towards economic, environmental, political, and social catastrophe, not dissimilar to what happened in the last stages of the Soviet Union. Governments and the mainstream media have failed us, so the job falls upon us as informed and engaged citizens to dig up the facts, re-learn history, counter government propaganda, and inform the sleepers who still insist that everything is fine. A few years ago, alternative websites such as Infowars.com were ridiculed as fringe, but that label has lost its meaning in the face of growing evidence that the mainstream version of history is based on myths and totalitarian state narratives. As the facts of history bubble up to the surface of humanity's collective consciousness, Western governments will have to answer to their awakened citizens why they have lied about 9/11 and other life and death issues. And that day is not far away. The rising credibility and popularity of the views and opinions of "conspiracy theorists" has a momentum of its own. The 9/11 myth has already collapsed. 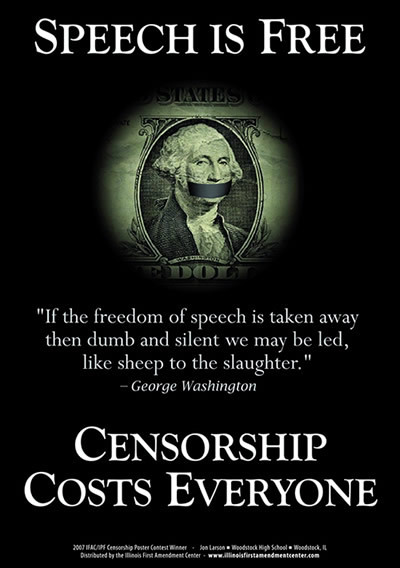 Censorship hasn't worked. Propaganda hasn't worked. Ridicule hasn't worked. Nothing can turn questioning minds from the truth about 9/11, the truth about President JFK's death, the truth about the secret creation of the private Federal Reserve Bank, and other historical truths.